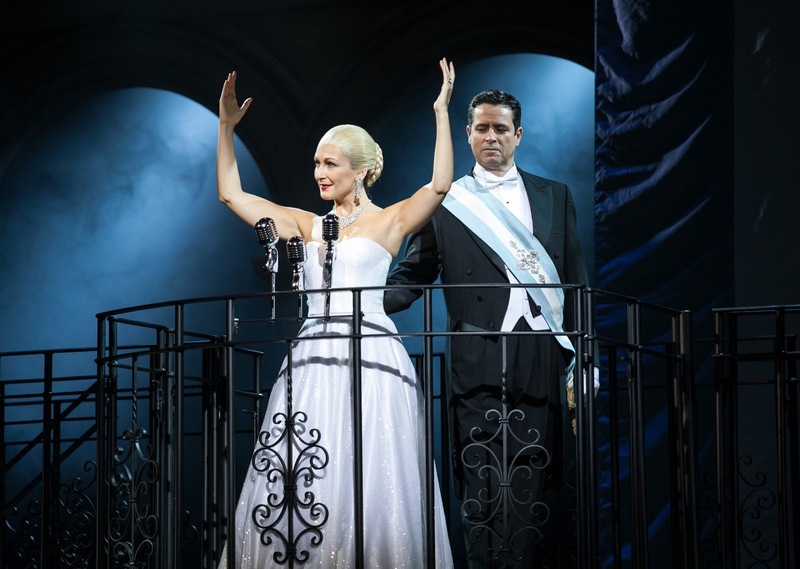 The tale of Eva Perón’s ambition is one that still packs the theatres. 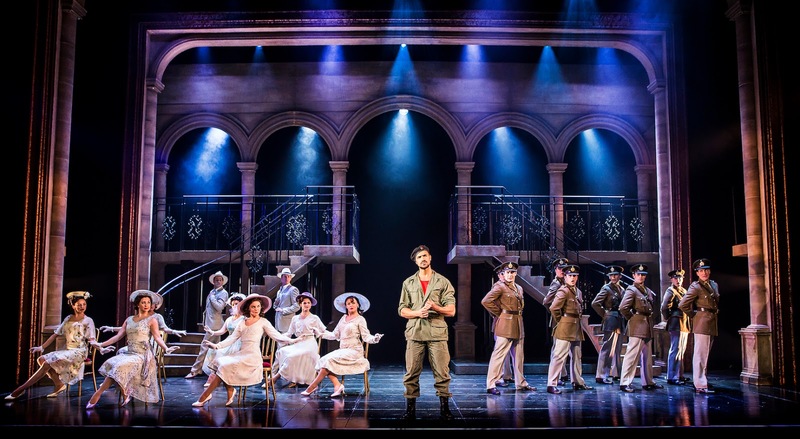 Strong, well known, musical numbers intertwined with a story of a determined individual’s battle against the odds make Evita a great choice to produce. Add in strong leads and it becomes a very pleasant evening at the theatre. Of course the glamorous surroundings of the Theatre Royal add to the glamour on stage. The show begins in a cinema In Buenos Aires on July 26th 1952. 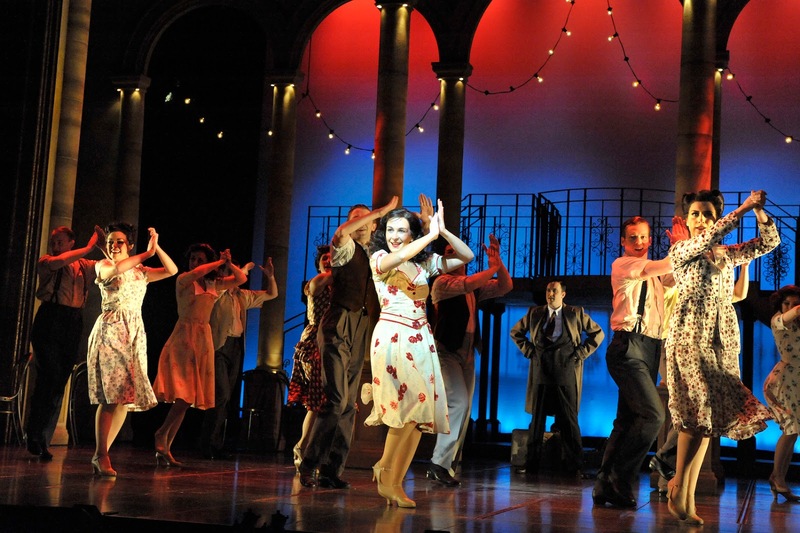 The audience are informed that the second wife of the country’s leader Juan Perón is dead. The country is plunged into morning, such is the esteem in which the lady is held. The action moves from the funeral to 1934 and young Eva is having a taste of love when she falls in love with singer Magaldi. Even at this stage she has a desire for a bigger life and she wants to move from the smaller provincial town to Buenos Airies. They go together but the relationship quickly fails leaving Eva to find new lovers. The story also briefly mentions the continuous political upheaval in Argentina at the time. 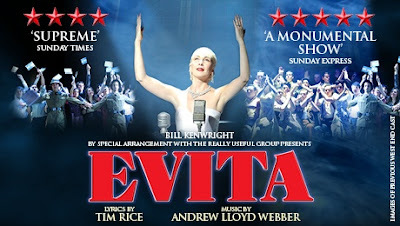 This, and the natural disasters, help give a context to Evita’s eventual rise to fame. The show is sung throughout. 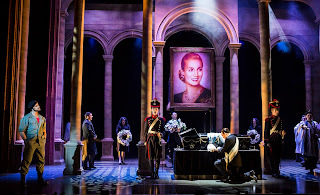 Andrew Lloyd Webber’s music combines with Tim Rice’s cleverly observed lyrics to tell a story that, before the show’s 1978 debut, wasn’t that well known on these isles. Madalena Alberto returns to the role of Evita with a flourish. She skilfully transforms from a youth to a powerful woman to the frail faded star at the end. She also controls her powerful voice well during the big hit Don’t Cry For Me Argentina. Also returning to the show was Gian Marco Schiaretti as the narrator Che. This challenging role was capably handled as well as any “bigger named” stars that may have done it previously. His charisma shone through during Oh, What A Circus and And The Money Keeps Rolling In (And Out). The gentlemen in Eva’s life had suitable gravatas. 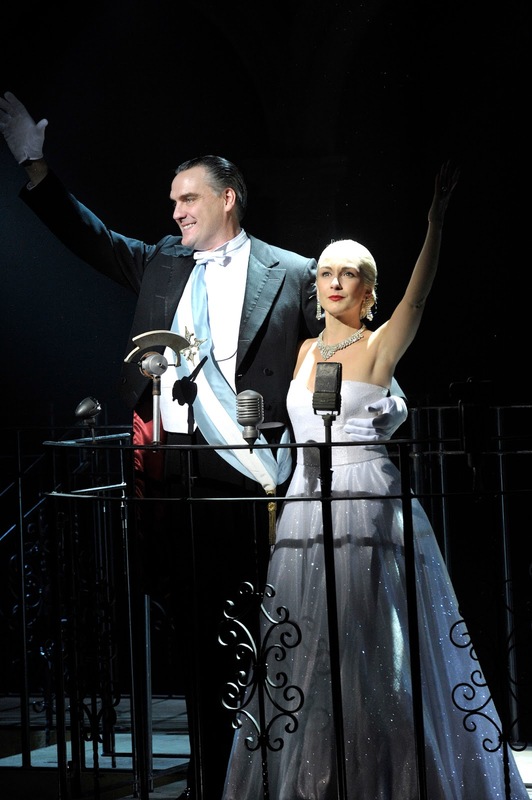 Jeremy Secomb had a commanding presence as leader Juan Perón, both as support to the Eva role and on a number of song such as She Is A Diamond. 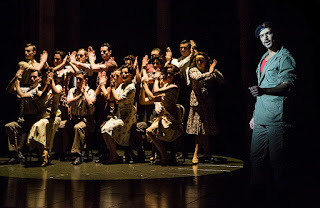 Singer Agustin Magaldi was in the capable hands of Oscar Balmaseda whose moment in the spotlight On This Night Of A Thousand Stars helped to set up the action in the early scenes. Adding to the mix both a live band under musical director Tim Whiting that didn’t put a foot wrong all night and some energetic choreography from a large ensemble cast. 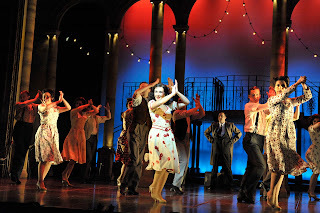 The big dance scenes had a West Side Story feel – and regular readers will know we love West Side Story!. I have waited a long time for the chance to finally see Evita. I grew up with a cast recording of the original West End production and have always wanted to see the show done live. This performance didn’t disappoint. It may have had the odd prop misbehave itself, but the way in which the cast dealt with those minor issues added to the overall show. Likewise the set is old school, being pushed on and off – and having less of the electronic wizardry of some shows, but that didn’t distract from the main action. 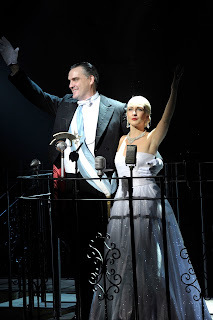 Evita is a fine show, with an accomplished cast and was well deserving of its first night standing ovation. Bravo! Evita is at Newcastle Theatre Royal for one week only - Tuesday 22 until Saturday 26 May 2018 at 7.30pm with matinees at 2pm on Weds and Thurs and 2.30pm on Sat. 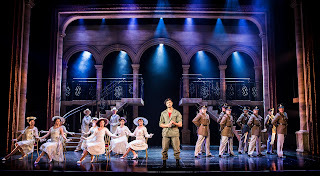 Tickets from £15.50 can be purchased from the Theatre Royal Box Office on 08448 11 21 21 (Calls cost 7ppm plus your phone company’s access charge) or book online at www.theatreroyal.co.uk.